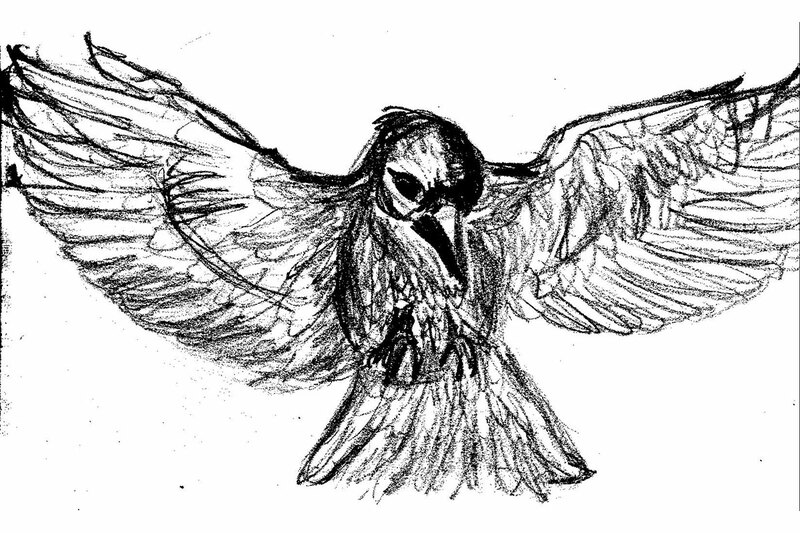 Raven descends, glides along beside her. Raven floats along on extended wings. She can hear the whistle, the crackle and snap of the light—or perhaps the sound lives in the pinfeathers of the great bird. The light swirls around them, emerald and crimson. The sound is deafening. Ahead, figures dance. George squints against the brightness, and yet she’s drawn to it. In Paris, Gustave Flaubert takes up a raven’s quill and writes to Ivan Turgenev on the death of George Sand. He had wept like a calf, he writes, at the sight of her coffin. He imagines her in heaven, watching—headstrong, passionate—as his words form on the page. What would please her? “Her funeral was like a chapter in one of her books,” he writes, and as he does the sky erupts in light. Anne DeGrace is the author of four traditionally-published novels and author/editor of several self-published regional books. When not working at the library, she is probably walking her dogs, and (occasionally) writing. Short fiction is her first love.